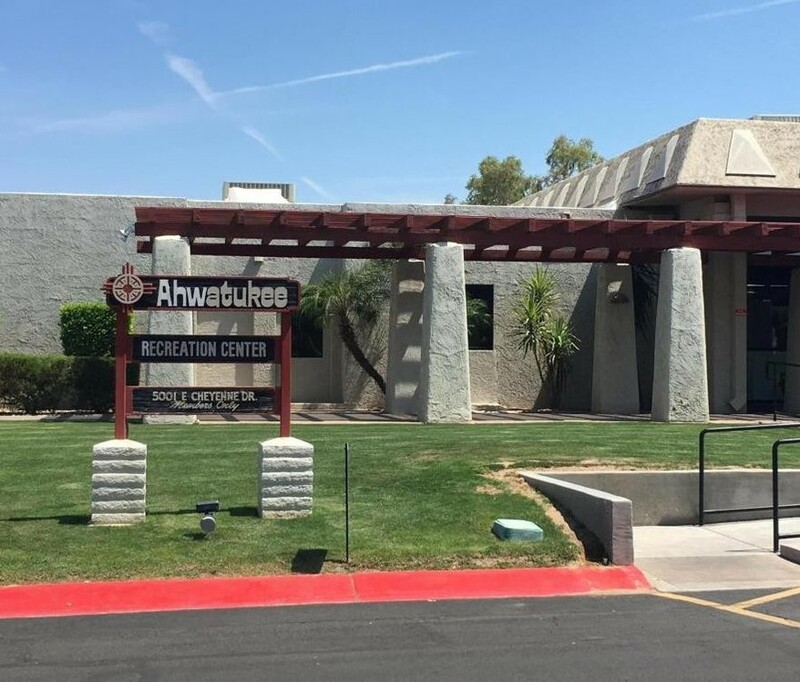 Welcome to the Ahwatukee Recreation Center (ARC.) We are a 55 plus years and older Home Owner Association made up of 1628 homes located between Knox and Elliott Roads in Phoenix, AZ. The mission of the ARC is to develop well-maintained facilities and offer contemporary activities appealing to the social, recreational, educational, health and fitness interests of its community members. The ARC offers many amenities for its members such as pickleball courts, lawn bowling, a large beautiful outdoor pool, therapeutic indoor pool and spa, aerobics studio where a great variety of classes are held from Boot Camp to Yoga, cardio equipment, free weights, and assisted weight machines. Our members get together each week to play cards, Mahjong, Bunco, Bocce, billiards, table tennis, and have jam sessions with their instruments. There are many travel and fun events available to our members as well. In addition, we have a crafts building which includes an impressive wood shop, lapidary, stained glass studio, clay and ceramics studio, and it is where quilters, home arts, painting clubs and groups meet to work on their crafts. The ARC hosts an Arts and Crafts Fair in November which features for sale many of the works of art our residents have created. It also features dances and entertainment for its members to enjoy. You will definitely want to join in the fun! Visit the About the ARC pages to learn more about our HOA and membership.